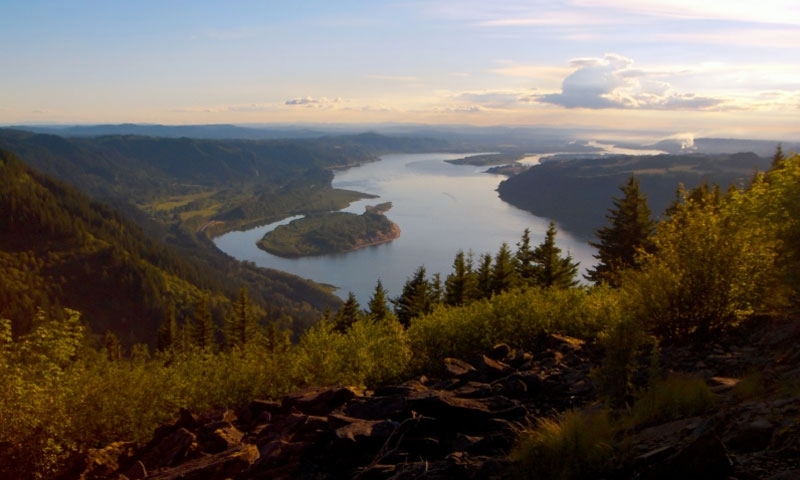 There is no doubt that the Columbia River in Oregon has become the areas most popular destination for boating, fishing and windsurfing. 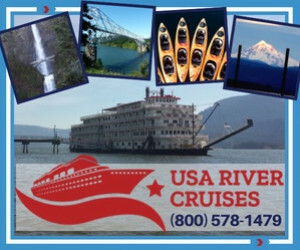 Offering more choices of any cruise line along the Columbia than anyone. 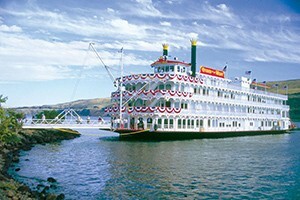 Packages range from 4 to 10 nights, with gorgeous staterooms, dining and side-trip options. 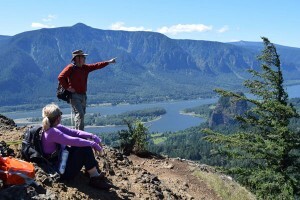 Enjoy beautiful hikes throughout the Columbia River region, seeing wildlife, wildflowers and waterfalls. Committed to adventure for over 37 years - we know adventure! Offers premiere services geared towards kiteboarding. They offer hands-on lessons to help assist the kiteboarding enthusiast. Located in Hood River. Chinook Salmon, Steelhead, White Sturgeon, Walleye, These are just a few of the species you will be reeling in with Reel Adventures. 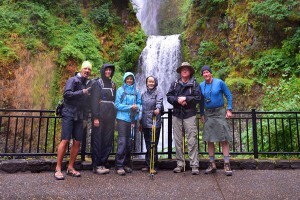 Fish for a day in the Columbia River with professional guide and expert Larry Page! Catch Walleye, Salmon, and Sturgeon. Starting at $150 per person. Youngs Fishing Service Inc, located in Dalles, Oregon, offers an authentic freshwater fishing experience along the rapids of the Deschutes River. Imagine for a minute a mountainous paradise where wind is tunneled through a local canyon and gorge, offering some of the best windsurfing opportunities along the Columbia River in Oregon. For the less experienced, lessons and tours are available for the enthusiastic windsurfer or boater. Flowing through diverse terrain ranging from desert plateaus to temperate rainforest, the Columbia River offers year-round fishing adventures —giant-sized catches include walleye, steelhead, sturgeon, and multiple salmon species. Fish and Seasons: Chinook is known as the best-tasting salmon in the world. Peak seasons are March-May for spring Chinook and late August through September for fall Chinook. Columbia distributaries like the Multnomah Channel are prime spots for hooking Chinook, which average 12 to 30 pounds. Local sturgeon season runs all year; best times are February-May and October. Keepers run from 3-1/2 to 5 feet long and are great eating. Steelhead has both a summer and winter season, and walleye can be fished year-round. The Northwest values conservation, so anglers should check for up-to-date regulations with the Oregon Department of Fish & Wildlife. Licenses are easy to get from a Fish & Wildlife office, sporting goods store, or online. Many guided fishing trips are available. Precipitation is common and winds can be high, so visiting an outfitter before the trip is a good idea.